OP-ED | What does a ‘give’ to the U.S. on dairy look like? Canada seems (finally) ready to “give” something on dairy, in order to get a NAFTA deal. It appears that the many other sectors of our economy that would be hurt by the outright loss of the North American free-trade agreement, or the loss of the dispute-settlement provisions of Chapter 19, or by conceding to U.S. demands on intellectual property or culture, are all finally making the government realize that its blind support of dairy has been costing serious negotiating leverage, to the detriment of the rest of the country’s economy. Now that the United States and Mexico have announced a deal, there is even more pressure on Canada to join in. Unfortunately, for purely political reasons, Canadian politicians, including the Prime Minister as recently as Tuesday, continue the mantra: “We will defend supply management.” This slavish adherence to an archaic system is misguided – particularly for a government so intent on the middle class. Supply management only benefits what is now a very small number of, on average, multimillionaire producers. It is paid for by Canadian consumers, who pay hundreds of dollars more a year on basic nutrition than they should. Worse, the “give” that is being considered will be far more costly in the end than if Canada committed, now, to moving away from the supply-management system entirely. Canada has a chance, right now, to fix a big problem, and finally do what is right – not because Donald Trump says so – but because it’s the right thing to do for Canada. The immediate opportunity is that if, in the process, we can play off Mr. Trump’s concerns about dairy to obtain much-needed leverage for other sectors – such as autos, steel, aluminum, softwood – then it is a win-win for Canada. So how will the concessions being considered be even more costly than dismantling the system entirely? It appears that opening up tariff-free access to a larger part of Canada’s market is now on the table. There are a couple of possibilities. In one scenario, Canada “gives” the United States the same access to our supply-managed markets as it would have had under the Trans-Pacific Partnership (TPP, now CPTPP) – the ability to participate in an aggregate opening of 3.25 per cent of our dairy market. We had already agreed to that for the TPP before the U.S. pulled out of that trade pact last year, so it would be easy. Another scenario, however, is that, because the pressure is now even higher on Canada for NAFTA, we might feel obliged to “give” even more. Canada could agree to let the U.S. supply up to, say – pulling a number out of the hat – 10 per cent of our market. In the first scenario, we would be back at a claim for about $4-billion (TPP without the U.S. plus the U.S. via NAFTA). The Liberals might balk, but as this is where the Conservative number-crunchers ended up, it would be difficult for the Liberals to do otherwise. So, expect a base-line claim of at least $4-billion in this scenario. Using very simple math, if opening up 3.25 per cent of our dairy and 2 per cent of our poultry and egg markets is worth $4-billion, then 10 per cent would be worth more than $12.3-billion. Extrapolate those numbers, and that’s saying that 100 per cent of the market is worth more than $123-billion. It’s more complicated than that, but one gets the idea. So how does that compare with the cost of dismantling the supply-management system itself? There is concern that, because the current market value of all quota (the licence to produce) is about $30-billion, the cost to the government would be prohibitive. However, various studies have shown that, while still being fair to producers, doing so would certainly not cost the full market value of quota, and that it could be done over time using the system itself to pay for it. It would not be nearly as expensive as $12-billion-plus for access to a mere 10 per cent of the market. 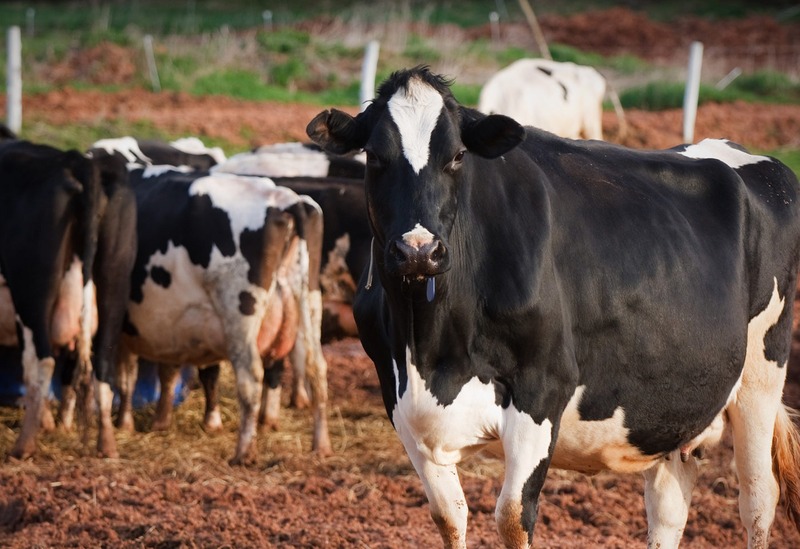 Dismantling supply management would, however, require Canadian dairy, poultry and egg producers to compete – just as by far the majority of other Canadian agricultural producers do, and indeed most participants in the Canadian economy. Whatever we do, Canada should insist on a level playing field. The United States and its dairy farmers are no angels in this debate, but while it is often claimed that the U.S. heavily subsidizes dairy, U.S. dairy subsidization has dropped dramatically over the past decade. According to various Organization for Economic Co-operation and Development analyses, Canadian subsidization of dairy is now between 3.5 and seven times greater than in the United States. In removing supply management, we should insist on measures, on both sides, that would allow for fair competition. But right now is an extraordinary opportunity for Canada – we can only hope our leadership sees it for what it is. – Martha Hall Findlay is the president and CEO at the Canada West Foundation.